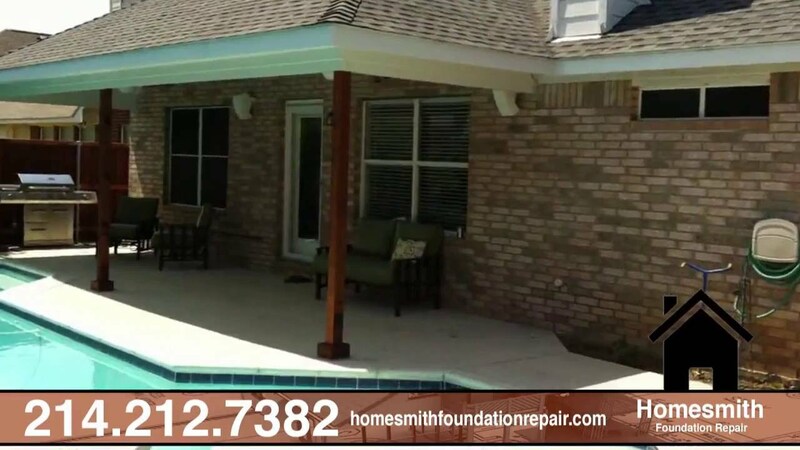 HomeSmith Foundation Repair has 42 years experience in Home repair and is a certified DynaPier® dealer, and are a perfect BBB accredited A+ business. We have a real Lifetime warranty that is transferrable at no extra cost. We lift the entire repair section together using hydraulics. We fix only the areas needing repair and educate the home owner how to maintain their foundation. We fix failed foundation repairs done by other companies who use shallow piers, soil stabilization, drilled piers, and cylinders with cables that do not penetrate to bedrock. We stand behind our work and have references upon request. HomeSmith Foundation Repair Specialists is the company to call when you have foundation problems. Our expertise in dealing with all types of soils is beneficial in the Dallas metro where expansive soils are common. While soils can wreak havoc on a foundation, we provide solutions to all foundation issues, whether they are large or small. We believe in fixing a foundation once and for all. That’s why we provide the highest quality foundation piers available. If your home is experiencing signs of foundation issues such as foundation cracks, unlevel floors, doors that are sticking, etc., please give us a call for a free foundation repair estimate. Foundation repair is stressful to homeowners. We work hard to deliver the best experience possible for our customers. Our customers matter to us, that’s why we treat each home as if it is our own. We take the time to sit down and explain the options to our customers, allowing them to make the best choice for their home.